Visitors to the valley can now enjoy a wide range of wines from the various estates and private cellars which have received a string of national and international awards including Diners Club Wine Maker of the Year and a healthy spread of gold and double gold Veritas awards. 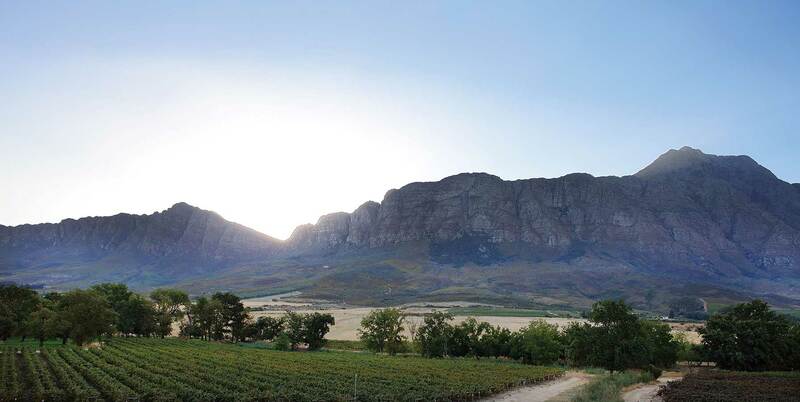 Tulbagh has always been innovative in its approach to wine making, with Twee Jonge Gezellen being the first estate to introduce night harvesting in South Africa, a concept now employed by many producers throughout the Cape. 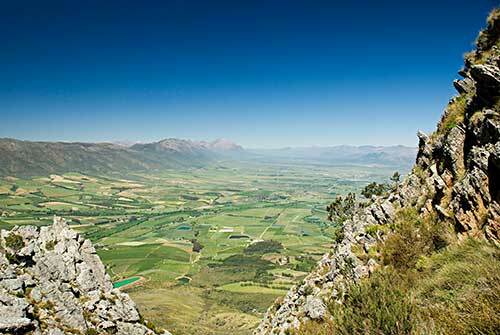 Tulbagh is situated in a bowl surrounded by imposing mountain ranges, with the Obiqua Mountains to the west, the Winterhoek Mountains in die north and the Witzenberg Mountains to the east. The Southern side of the valley is open to cooling south-east winds during the hot summer months. 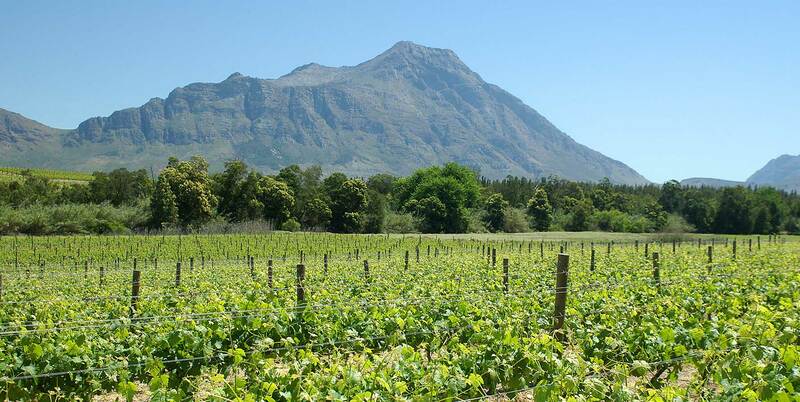 Accordingly Tulbagh enjoys some of the most diverse and attractive conditions for viticulture in the Cape and the differences in terroir available to wine makers allow for a wide diversity of distinctive wines of excellence, attributes which have attracted many new producers to the valley. 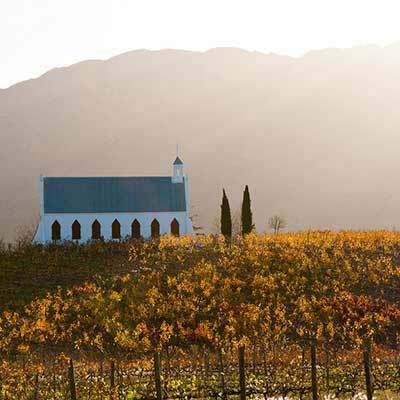 The Tulbagh valley has always been celebrated for the beauty of its setting and the historical significance of its town. 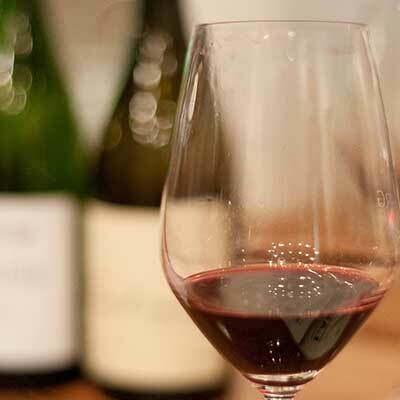 In more recent times, wine has moved centre stage and visitors to the valley can now enjoy a wide range of wines from the various estates and private cellars wines that have received a string of national and international awards including Diners Club Wine Maker of the Year, a healthy spread of gold and double gold Veritas awards, and numerous others. Tulbagh has always been innovative in its approach to wine making, with Twee Jonge Gezellen being the first estate to introduce night harvesting in South Africa, a concept now employed by many producers throughout the Cape. 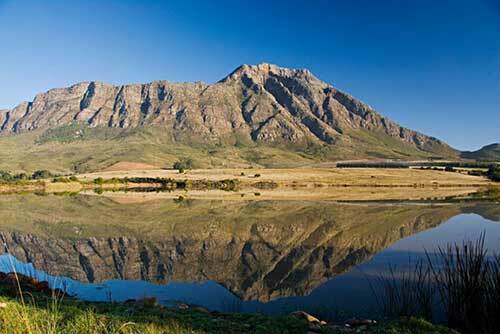 The secluded Tulbagh valley is surrounded on three sides by the Groot Winterhoek, Witzenberg and Obiqua mountains. The town of Tulbagh boasts 32 provincial monuments on one street and the surrounding vineyards grow alongside orchards and fields of wheat. 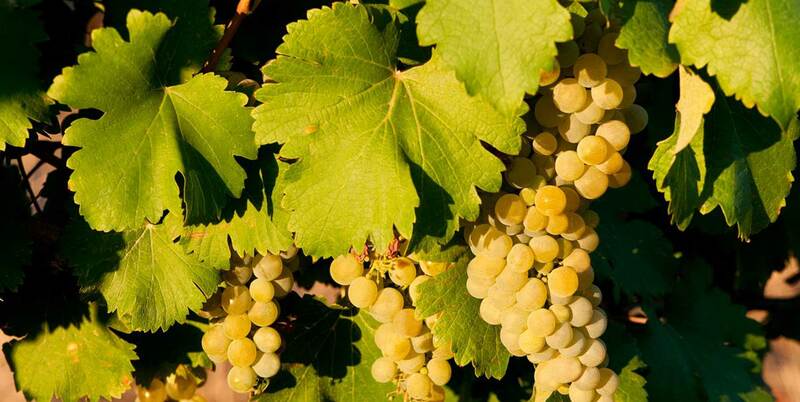 The wine route is dotted with graceful old estates, interspersed with conspicuously new vineyards and architecturally designed state-of-the-art cellars, as well as a handful of micro-producers and boutique wineries. Here history and tradition work hand-in-hand with innovation. Today’s high-tech water management and advanced viticultural practices are ensuring that the true potential of this area is starting to be realised. It is the express aim of the Tulbagh Wine Route to make the experience of the wine visitor to the valley as memorable as possible and we are sure both our wines and the estates and cellars that produce them will surprise and delight you. 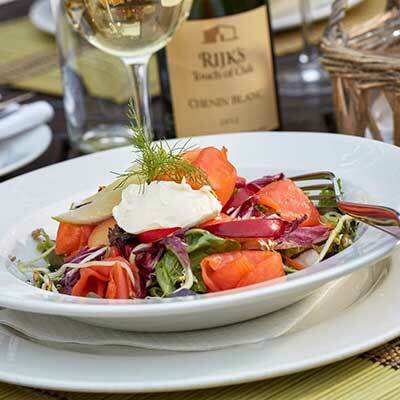 Enduldge in excellent quality local and global cuisine in a relaxed atmosphere with beautiful views. Plan the perfect country wedding at venues that will capture your heart and live forever in your memory.